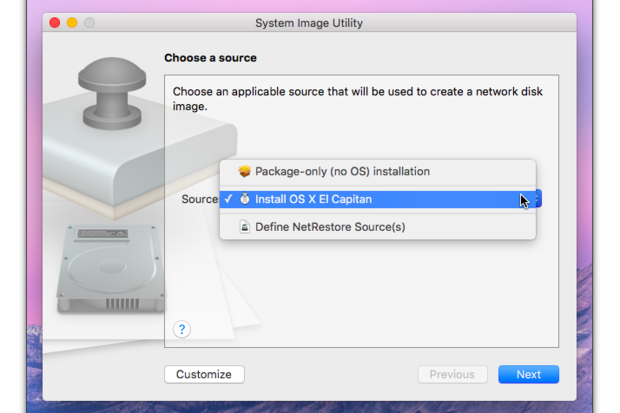 The latest in our series on using the NetInstall service in OS X Server. 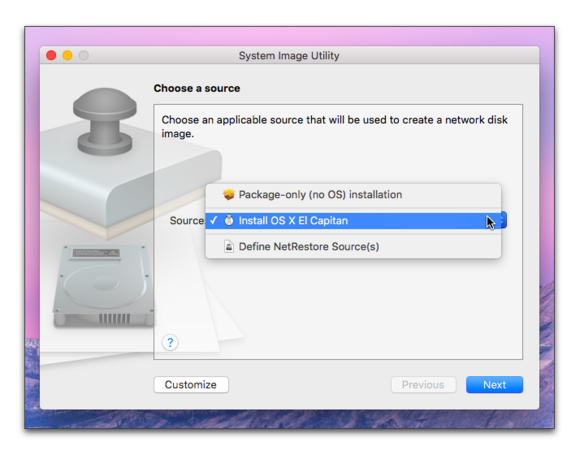 Over the last several weeks you’ve created and started MacsNetInstall, NetBoot, and NetRestore images using the basic settings available in the System Image Utility’s image assistant. Next we’re going to create a custom NetBoot image, which we’ll use to create images containing pre-configured settings. Last time we did this we created NetBoot images using an image created using AutoDMG, this time we’ll use the Customize button in the System Image Utility. You should note that some of the options you’ll see using the Customize button are also available when using the Assistant, but you have more options when creating a customized image. You may recall that, when using a NetBoot image, you weren’t able to save any changes you made, so even though you added a new user account, as soon as you started your Mac up using that image, you had to add the user account again. Now we’re going to add two user accounts to the NetBoot image. Note: You’ll need a fresh copy of the El Capitan installer to perform these steps. Refer back to episode 4 if you don’t already have a copy of the installer. Open the System Image Utility using Spotlight. Choose Install OS X El Capitan as the source. Select NetBoot Image as the image type. 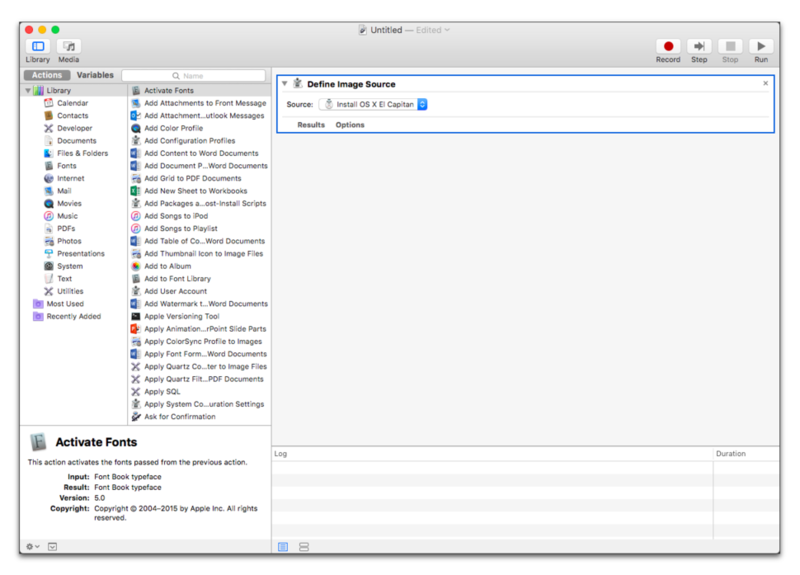 Clicking the Customize button opens the Automator app. The Automator app lets you create customized, editable, and reusable scripts by dragging predefined Actions from the Action Library into the Automator Workflow. 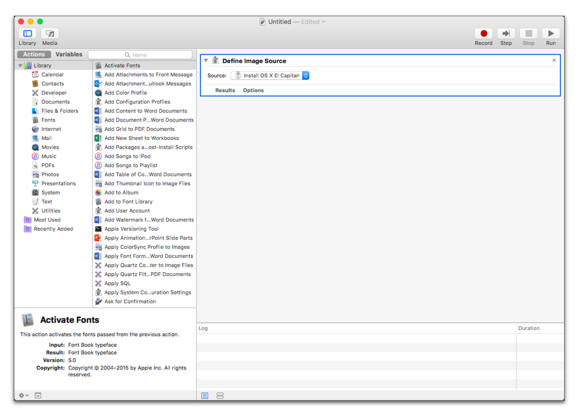 We’ll now use an Automator Workflow to create a NetBoot image. 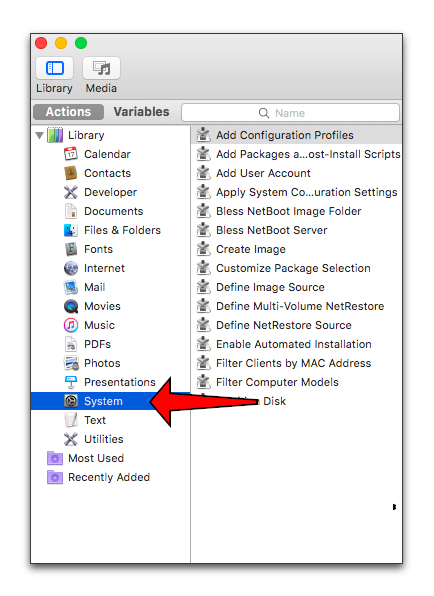 You should note that, even though you selected NetBoot Image in the previous step, only the Image Source action has been added to the Automator script with the El Capitan installer selected. If the installer isn’t selected as the source use the Source menu to select it now. You should also note that, because the entire Automator library is selected when the app opens, it’s not obvious which steps will let you create a NetBoot image. Select System in the Action Library. Selecting System filters the Action Library so you only see actions related to creating NetInstall images. Now it’s time to add user accounts. 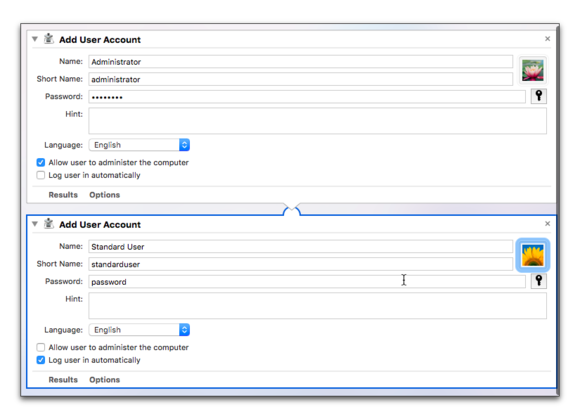 Locate and drag a second Add User Account to the Workflow. Type Standard User in the Name field and press the tab key. Now let’s give our computer a unique name on the network. 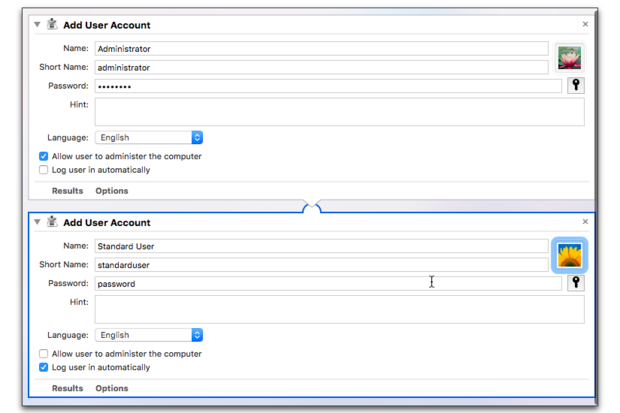 Locate and drag Apply System Configuration Settings to your Workflow just beneath your standard user account. Put a check in the box next to "Generate unique Computer Names starting with." Note: Using this settings action you can automatically bind your Mac to a directory server, which is something we’ll do next week that will allow us to use Network Home Folders. Finally, let’s create our NetBoot image. Locate and drag the Create Image action to the Workflow, just below the Define Image Source action and agree to the license agreement. Select NetBoot as the Type. Select Desktop for the Save To destination. Type NetBoot with accounts as the Image Name. Type NetBoot with accounts as the Network Disk. Make no changes to the Image Index. Add a description if you want. You may have notice that what we added here is exactly the same as what you selected when creating NetInstall images earlier using the Assistant, only this time there was no information automatically added to the Workflow. We did all of it manually and we were able to perform tasks that weren’t available to use in the Assistant. Now it’s time to create the image the NetInstall service will use. Click your Automator Workflow’s Run button. Go grab a cup of coffee while the image is created. Move the NetBoot with Accounts.nbi folder from your Desktop to your server’s /Library/NetBoot/NetBootSP0 folder. Open the Server app and enable your new NetBoot image. Startup your client Mac using the new image. When your Mac starts up from the image it should automatically log in to the Standard User account. Verify that the Computer Name says NetBoot with Accounts and includes a unique identifier. Log in as the Standard User and verify that the TextEdit document you created is still on the Desktop. Restart your computer again using your new NetBoot image. Look and see if your TextEdit document appears on your Desktop. While you are still automatically logged in as the Standard User your TextEdit document no longer appears on your Desktop. This is a great option if you have computer you want to startup with a clean Home folder every day, making it similar to logging in using the Guest user account, this isn’t very practical for your every day users.